To me, making a resolution implies that there is something wrong, something I need to fix. I know I’m not perfect, no one is, by why spoil all the wonders of a New Year by concentrating on what needs to be changed? Many of us spend too much time worrying about what we should be doing instead of enjoying all we could be doing. I do look forward to the New Year, though. To me, it’s like I’ve been given a great big box of new crayons with which I can color my life any way I choose. I don’t need a coloring book, either, just a clean pad of paper. Any kind will do! So let’s get a fresh new calendar and some more stickies and start coloring in our new menus, shall we? The week before Christmas went by in a blur of freezer food, soups, and leftovers, but by Christmas Eve Eve, (Friday night), all the preparations were complete and it was time for Michael and I to relax and enjoy the holiday. Since we would be splitting Christmas Eve and Christmas Day between Emily, Aaron, and their families, Friday night was just for us. 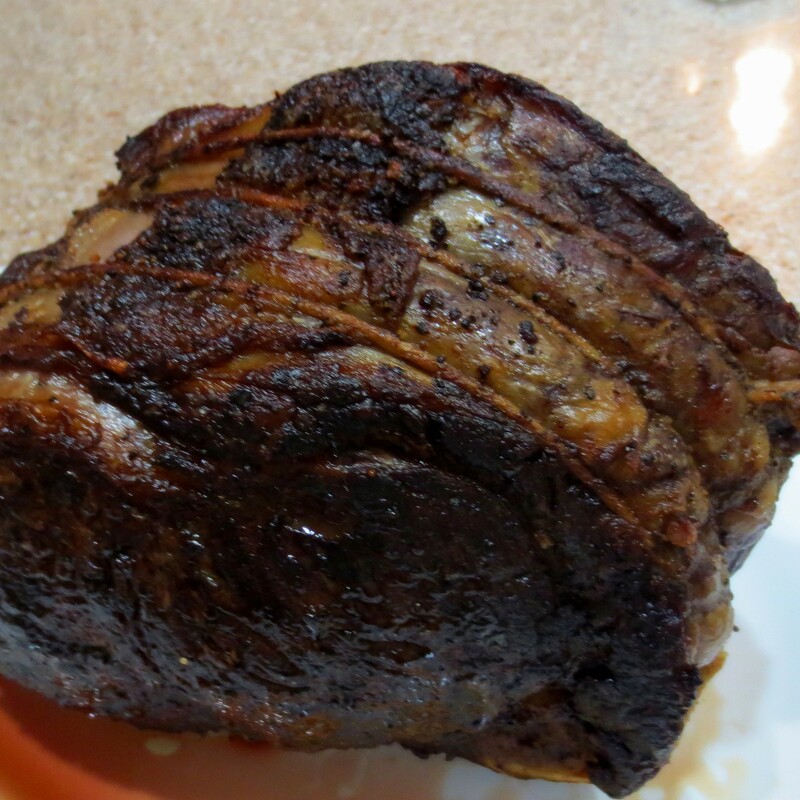 We splurged on a decadent dinner featuring Perfect Prime Rib with its ebony crust that guards a perfectly pink and juicy interior. 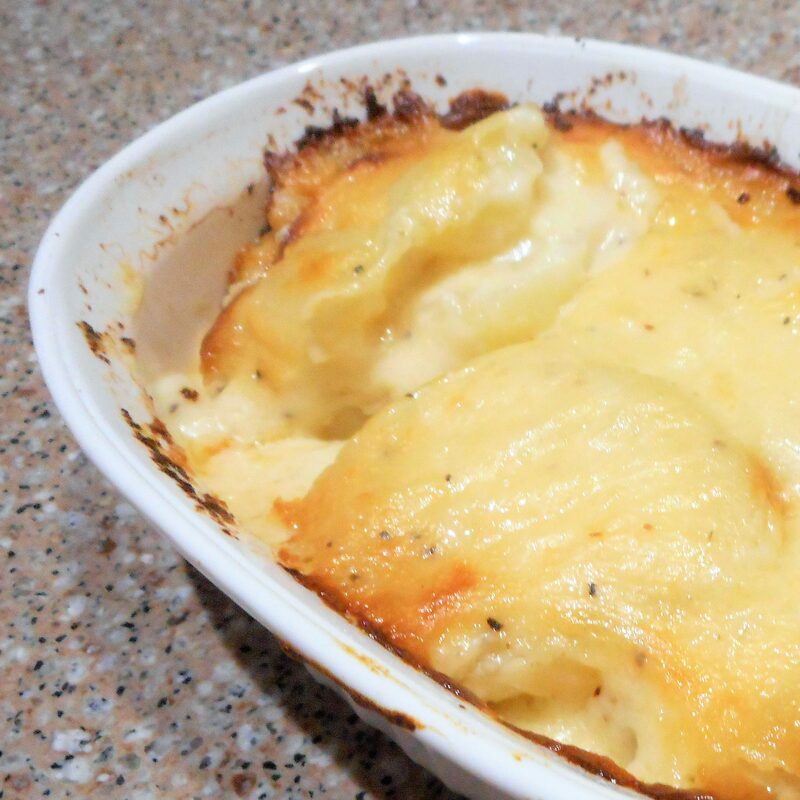 Creamy, Cheesy, Au Gratin Potatoes were an equally perfect side dish, festively rich for a holiday dinner. A good Gruyere cheese provides a velvety texture that isn’t matched by other varieties of cheese, but gruyere can be a little pricey and sometimes hard to find. While these potatoes are easy enough to prepare any night of the week, I save them for special occasions. Both Christmas Eve at Emily’s and Christmas Day afternoon at Aaron’s were just as they should be. 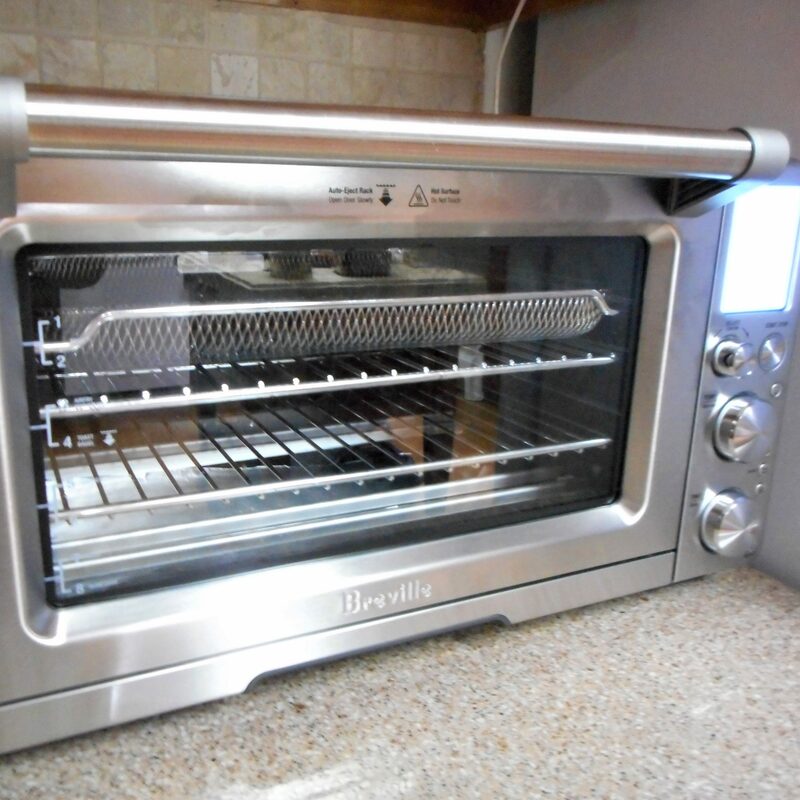 Comfortable and relaxed holiday celebrations full of family, fun, and fabulous food. Both of our children have inherited the cooking gene and neither they nor their families will ever starve. Monday was a travel day for Michael and I, as we had to make the short trip home from Aaron’s. The easiest dinner option then was Drippy French Dip Sandwiches made with the leftovers from that Perfect Prime Rib. You know, although I have good intentions, Monday is rarely Meatless, but I do try to make up for that another day in the week. That’s what the stickies are for! I can slide them around at will. Tuesday we stayed in the comfort zone with more freezer food. 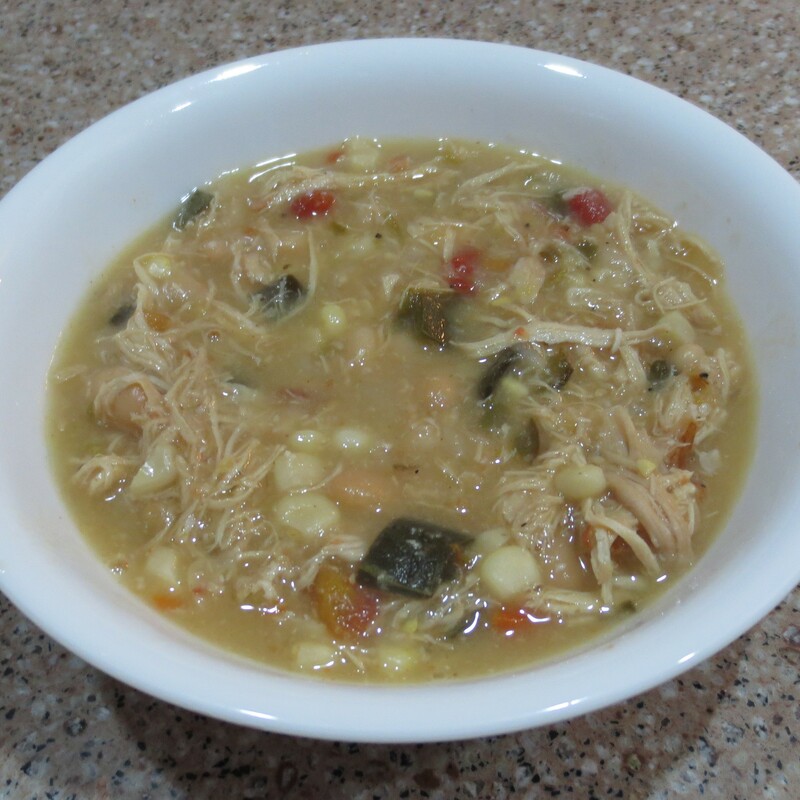 This time a couple of bowls of White Chicken Chili just magically appeared on the dinner table. I love it when that happens! After Wednesday’s Mexican restaurant visit, I once again took the easy way out and visited the freezer for Thursday night’s dinner. I think I see a pattern beginning to develop here, don’t you? 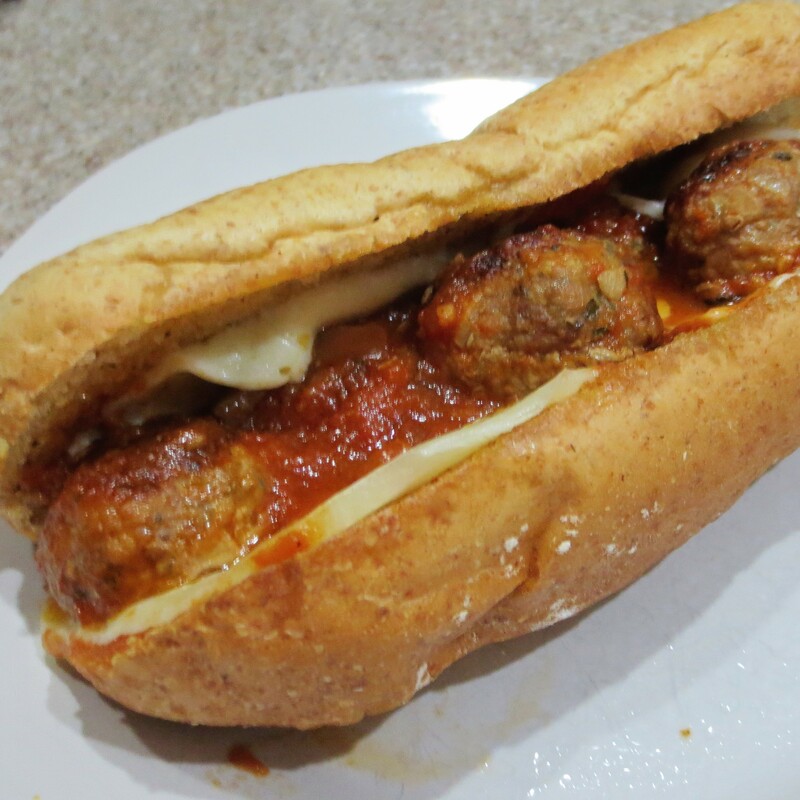 Anyway, with meatballs in the freezer Meatball Subs are never far away. 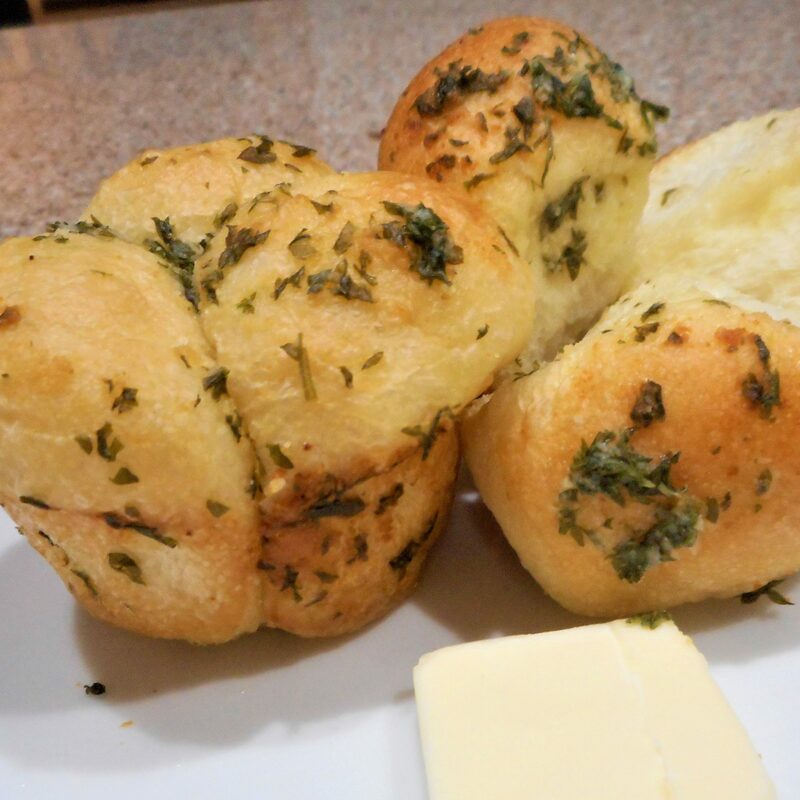 Pull out a couple of sub rolls, a little Homemade Marinara, add a little cheese, and dinner is served. If you want to try to pretend to be healthy have a House Salad first, but if you don’t have time, I won’t tell! Now I’m preparing for the New Year. Saturday, New Years Eve, is a big day around these parts, but not for the reason you might think. The University of Alabama is in a semi-final playoff game for the College Football National Championship. Roll Tide! After the game is over we’ll begin our New Years celebration with the rest of the world to usher in 2017. Michael and I always stay home for all those festivities. We live a way out of town and don’t care to take our chances with all the post midnight drinkers on the roads. We’ll have our own festivities, thank you, starting with football food and ending with a glass of bubbly. New Years Day dinner is pretty much the same every year, rooted in Southern tradition. The main attraction is always pork. Folklore has it that because pigs root in a forward motion consuming pork will keep your life moving forward. Foul, however, will have things in your life up in the air and flying away. Don’t ask me what beef will do for you. I don’t think that long ago our Southern ancestors wanted to kill the milk cow! So as not to tempt fate, I always serve pork on New Years Day. 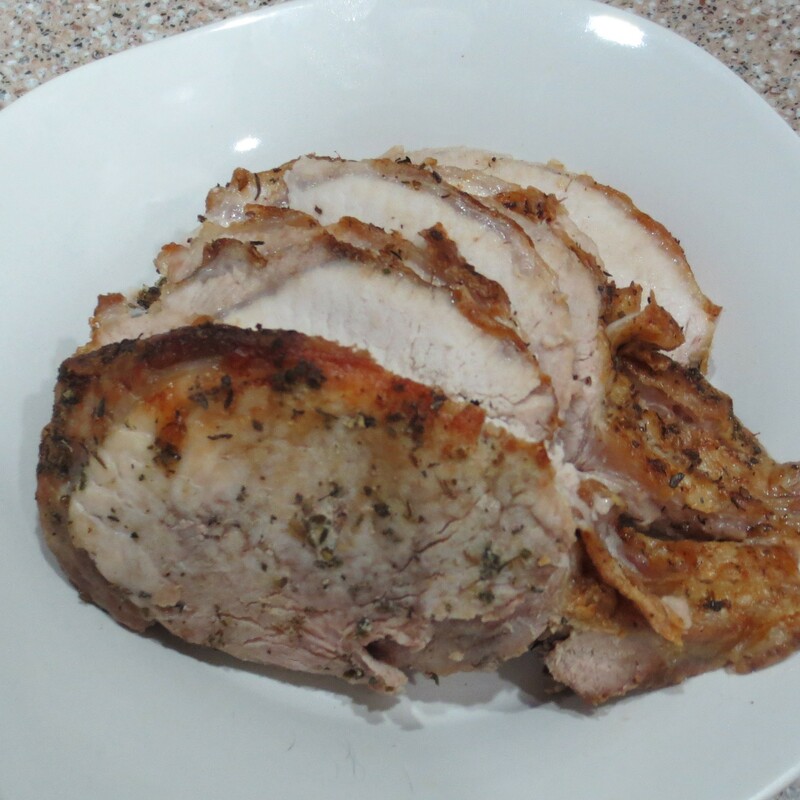 Our favorite is a Herbed Pork Rib Roast. 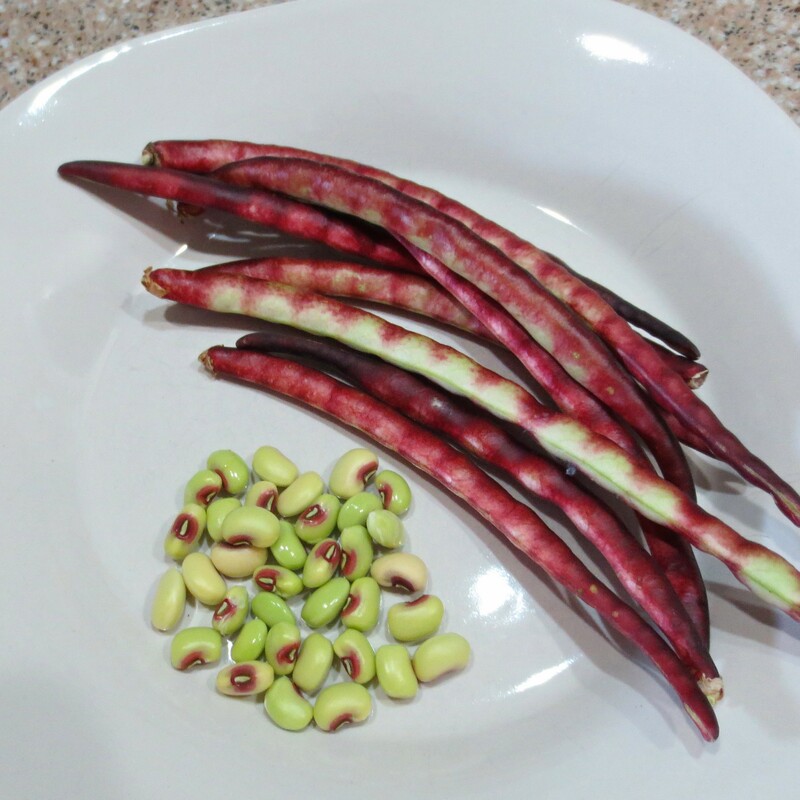 Another traditional new years dinner item is black eyed peas, but I substitute the pink eyed purple hull peas we grow in our own garden. Those were common in the Old South, as well, representing coins and bringing good fortune. They say the Yankee soldiers left those alone, along with the collard and turnip greens in the fields because they didn’t think those peas or greens were fit for human consumption. Little did they know! Eating the field greens are supposed to bring folded money, and who couldn’t use a little more of that? Cabbage may sub in for the field greens for Michael, as he’s not fond of those. I’m going to cook some collards for myself, just because I do like them. One way or the other, we’ll both eat greens! I’m looking forward to a happy and prosperous New Year and wish you all the same. HAPPY NEW YEAR! Be thankful for what life give you. This entry was posted in Uncategorized and tagged comfort food, food, freezer, holiday, menu planning, recipe ideas, roast beef on December 30, 2016 by lizziesmom2012. Enter your email address to follow this blog and see what I've been up to. You'll receive notifications of new posts by email.